The corrugator takes large rolls of linerboard and corrugating medium, flutes the medium and glues it to the liners, and cuts the corrugated board into sheets that are ready to be converted into box blanks and other corrugated products. 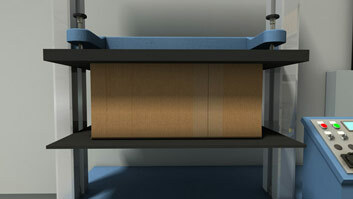 The sheets of corrugated board produced by a corrugator can be converted into a box blank (the precursor to a box) by a printer-slotter, die cutter, or flexo folder-gluer. 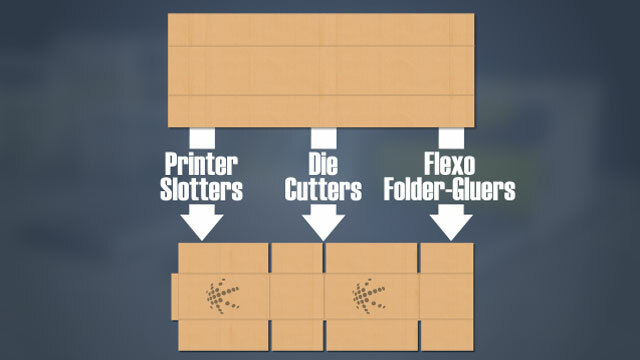 A flexo folder-gluer prints, cuts, slots, scores, glues, and folds sheets of corrugated board to produce stacks of flat, folded box blanks. What does a corrugator do? 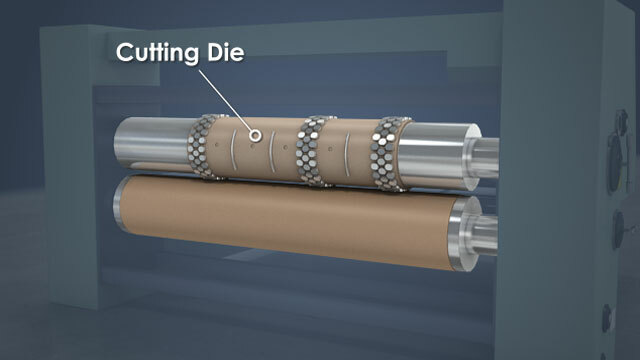 A corrugator flutes the corrugating medium and glues the medium to the liners to produce a continuous web of corrugated board. Then, it slits, scores, and cuts the web into sheets of corrugated board that are stacked and supplied to converting machines. How are the sheets of corrugated board produced on a corrugator made into box blanks? 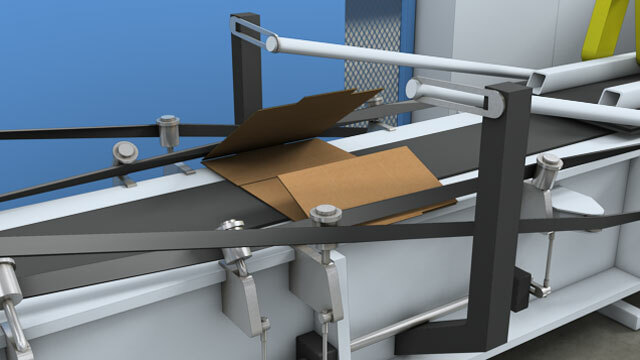 Converting machines add scores or creases, cut out slots, and trim off the edges of corrugated board sheets to produce box blanks. Printing, perforations, cut-outs, and intricate shapes require more advanced or extensive converting equipment. 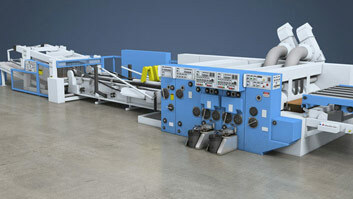 What converting machines are used to produce box blanks? 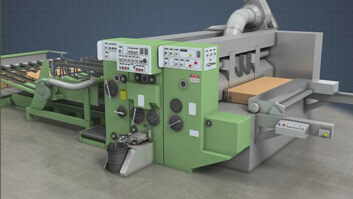 Die cutters, printer-slotters, and flexo folder-gluers can all produce box blanks. 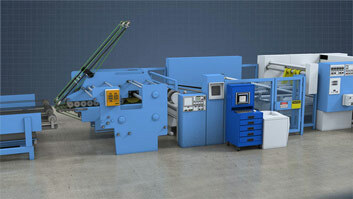 What is considered when deciding upon the equipment layout for a new box plant? New box plants are laid out to optimize the inflows of raw materials, outflows of finished products, and product and work flows inside the plant. They must also provide storage areas for raw materials, intermediate products and finished products. 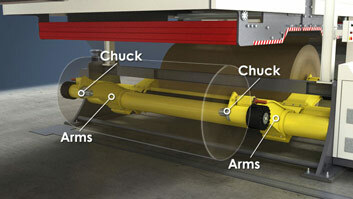 Why is it important to maintain adequate space around the equipment in box plants? To allow for safe and efficient maintenance, changeovers, and operating procedures. To convert a piece of corrugated fiberboard into a box, the board must be cut, slotted, and scored into a box blank, the precursor to a box. Many boxes are also printed, folded, and glued before they are shipped to the customer. And some boxes are stitched, taped, or labeled or have specialty forms and materials inserted before they leave the box plant. Some common pieces of equipment that can be found at a box plant are listed next. It is important to keep in mind that every box plant is different. 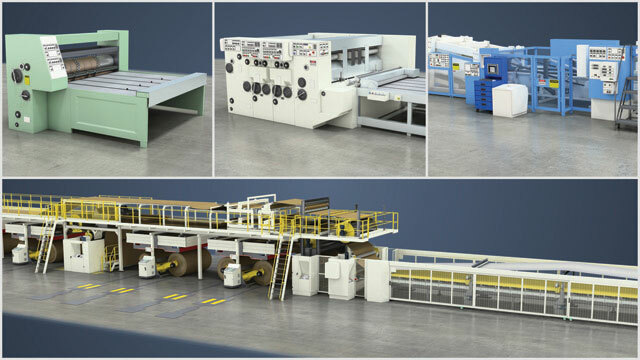 A very small box plant can have a single flexo-folder-gluer, while a very large box plant can have dozens of different machines.